Used Holton C602 Collegiate cornet in lacquer finish. 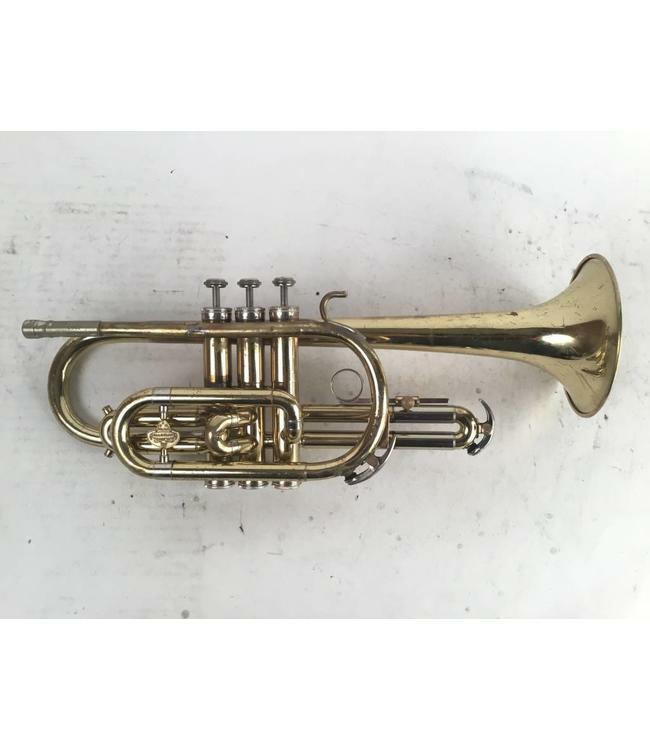 This cornet is in fair condition with heavy wear throughout, including bell dents and a leadpipe patch. No case.